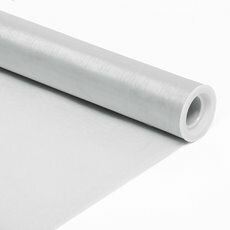 Among the net fabric wrapping range, satin organza wrapping rolls are wide and can be used for many different things. They will bring texture and elegance to any medium flower bouquet and can also be used for table decoration, table runners, chair decoration, chair bows, wrapping options and other flower compositions. They are easy to use and can be cut with scissors or with a counter roll dispenser. Our satin organza wide rolls are long lasting and strong. At Koch & Co, we deliver our products nationwide at wholesale prices and we ensure that all our products are directly imported from the most trusted suppliers.